Any advice/tutorials how to convert skydome textures to HDRI? Is it possible with GIMP? You shouldn't need to convert anything, if I'm understanding you right. You can always load a JPEG if you want to. But I don't think there is a good way to modify one to get high dynamic range out of it. So the lighting from it will likely be quite flat. Hey, if anyone is having trouble finding the product in your library, it's in Props. From the Content Library tab in Daz Studio > My Library > Props > Parris > IBL Master. This is a very interesting product but I have to admit I'm not skilled enough yet to really understand how to fully use all the features. It is in my cart though because from what I've seen here on the forum, it's a product to have if you have problems lighting scenes with HDRI light domes. Some of the video was a bit too technical for me and way too brief so I did get a little lost with some of Parris's explanation but that's my own ignorance speaking since I only have a few years into DAZ. Very impressive product it ought to make working with HDRI much easier! Sorry for getting too technical. Let me know if you have specific questions. I'm certain I can explain in a way that makes sense. IBL Master's base function is just to make it easy for you to point the light in the direction you want. It should be easy for anyone new to using HDRIs to use and get the value from this. Beginners who use 3delight as the renderer or can't yet afford a high end video card setup will get a whole lot more out of this from the get go. ETA: I saw a thread somewhere (can't find it now) saying you need a 4th channel to hold the lightning information in addition to the rgb channels. So I thought maybe you could somehow add that to my existing 3DLskydome images in an image editor. This is a great achievement, especially for 3Delight. For iray, I got only total black render - nothing is showing up. Could you possibly post some step by step instructions on how to set up light boost in iray. Below is a 3Delight render of Clarke with one of Mec4D HDRIs. No idea how you would get a black render from Iray. Can you show me a screenshot of Render Settings tab > Environment? If you look in the same place where you load IBL Master, there are 3 prop planes you can load into the viewport with step by step instructions for everything. One of them is specifically for Boost Lights. Great to see these HDRIs in 3delight. Thank you for sharing the image and the specs/time as well. I forgot to say yes, please to this part. :) I think it will do well. It seems many are excited. No worries it seems I have some catching up to do! I use both renderers so having the ability to point light where I want it is a big plus. Thank you for being open to questions! If you have an HDRI product that came from the Daz store, you shouldn't need to do anything other than double-click the preset to load the HDRI you want. However, if you want to load an HDR image manually from your harddrive somewhere, then you can either load it in Iray Render Settings or load it anywhere on IBL Master using the browse method. For Iray: Navigate to Render Settings tab > Environment > Environment Mode and make sure either Dome and Scene or Dome Only are selected. Next click on the image icon to the left end of the Environment Map property and choose Browse... to browse for and select an HDR somewhere on your hard drive. 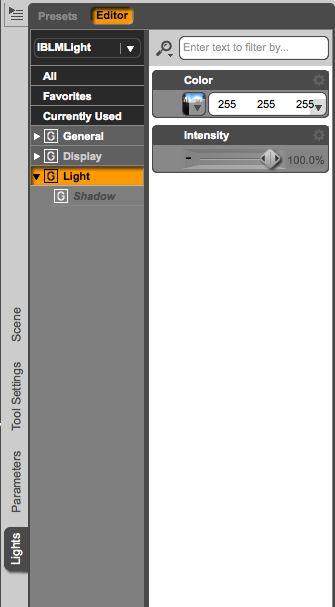 For 3Delight (or Iray): In the Scene tab, make sure IBL Master Control is selected. Then on the Surfaces tab navigate to IBL Master Control > CtrlSphere > Base Color > image icon > Browse ... to browse for and select an HDR somewhere on your hard drive. Will this ‘fix’ 3dl results with other lights, or do you have to use IBL Master lights? This fixes the problems experienced with other IBL lights (UberEnvironment, UberEnvironment2, ahEnvironment Light, EnvLight2) as a replacement for them. If you are experiencing problems with other lights (mesh, spot, distant, etc.) I don't know that this will help. What issues are you looking to fix? And I've got IBL Master in my cart too. One of the few things I'm springing for this month, as $$$ are very tight at the moment. Hmmm... so you have a ground plane primitive or other object in the scene that you want bounced light from? If so, sorry IBL Master cannot help fix speed or quality issues for UE2. If you want bounced light from the HDRI and a shadowcatcher ground plane, then IBL Master does that. It also comes with the shadow catcher shader, so you can apply that to anything. In the future, if all goes well, there could be an IBL Master 2 with additonal innovation as it comes down the pike. However, the next logical step would be to develop physically based surface shaders for 3delight, in which case the bounce would be handled on the surface shader instead of the light shader. Thank you Evilded777! I always feel like you've got my back! If I’m going to add lights or emissive surfaces, which are compatible with ibl? Why would you turn them all on? Eeek! You don't have to go hunting for the ReadMe though. I've put specific step by step instructions on plane props in the same directory that you load IBL Master from. One of them is specifically devoted to Boost Lights. Just double click to load the instructions and read them in the viewport. I have forgotten, that just updated Firefox crashed Nvidia driver earlier and of course, after that iray does not work in Daz Studio. Later after I have started the computer again, iray works as usual. Thanks. I have loaded the plane with instructions. How can I remove it from display, after I have read the instructions? You're welcome. Select the plane in the Scene tab and hit delete on your keyboard. I really like seeing the Iray to 3delight comparison. Nice job! I would say, for more apples to apples, you should reduce the intensity of the IBLM Light in 3DL. To do this, click the arrow to the left of IBL Master Control in the Scene tab to expand it and show IBLMLight underneath. Then select IBLMLight. Then on the Parameters tab or Lights tab navigate to Light and adjust the Property slider of Intensity or Intensity Multiplier down to something less bright.